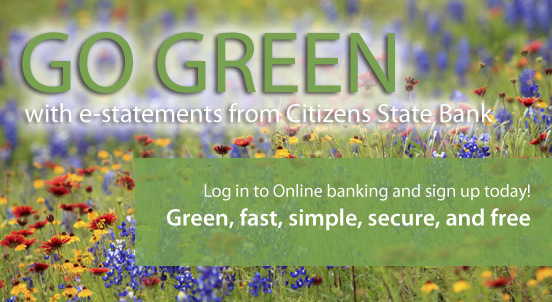 Welcome to Citizens State Bank Online! Enjoy Added Security On The WEB! Now you can shop online with confidence and safety by using MasterCard SecureCode. Citizens State Bank’s MasterCard debit card is equipped with a password protection called MasterCard SecureCode that will put you in control of your purchases by approving them online using your private password – and it’s free! 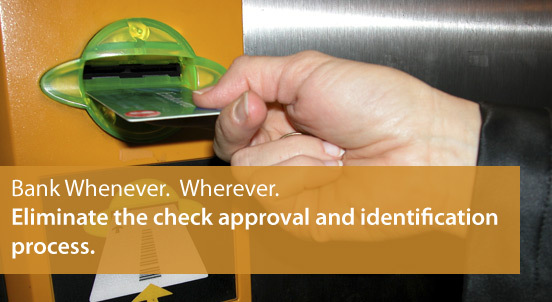 Shopping online with MasterCard SecureCode will help protect your card! To report fraud against your Citizens State Bank Debit Card during regular banking hours, please call 936-398-2566 or 936-642-1444. Afterhours HotCard number is 1-800-264-5578, available 24 hours a day, 365 days a year so you can report fraud. 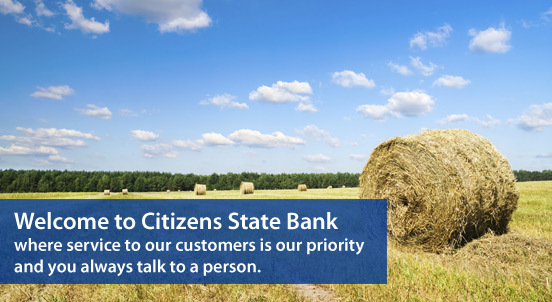 Citizens State Bank prides itself on being your neighbor and hometown bank that supports our community. When you bank with us, your money is reinvested to help our communities and surrounding area prosper and grow. Our bank's local ownership, with experienced management and staff has given us a strong advantage in personal, competitive products and services for our customers. At Citizens State Bank, we combine the strength of a well-managed, secure financial institution with the smile of a neighbor. We hope you will take the time to browse our web site to explore the many products and services, which we have to offer. 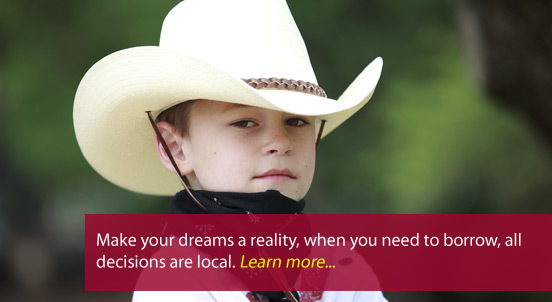 Seeking financing for your real estate acquisitions in Polk, Trinity, Houston, Angelina, or Tyler Counties? 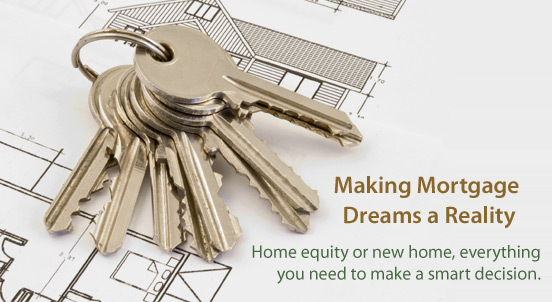 Learn how our personalized mortgage services can benefit you.